We Buy, Sell and Loan on almost Anything! From Guns to Gold and everything in-between! Instant payment on the spot! No credit check needed! Highest prices paid for gold, silver, jewelry, broken or not, Coins, Flatware! We loan on Automobiles, Motorcycles, ATVs, Motor Homes, Boats, Electronics, Musical Instruments, DVDs, Blu-rays, Tools, Firearms. 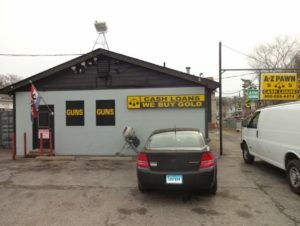 Going on 18 years we are the most trusted pawn shop in the area! Follow us at our social medias!